Former Brazil and Inter Milan striker Adriano has opened up about his struggles with alcoholism and depression during his time in Italy. 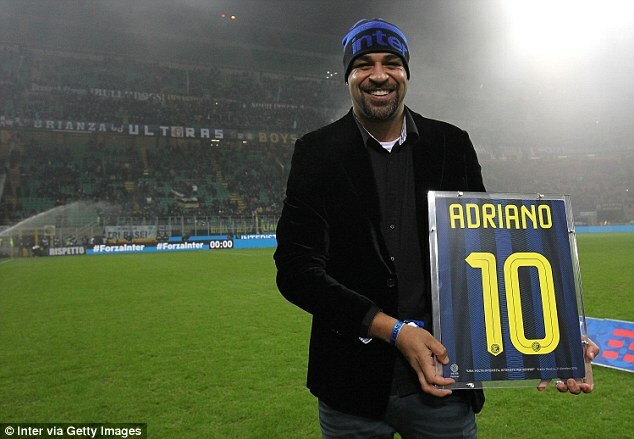 Adriano was deemed to be among the best strikers in the world as he lead Inter to consecutive Coppa Italia and Serie A titles. But following the death of his father, the Brazilian struggled to cope and turned to drinking. Adriano has now revealed that Inter hid the truth from the media by claiming he was injured, when in fact he was turning up to training drunk. 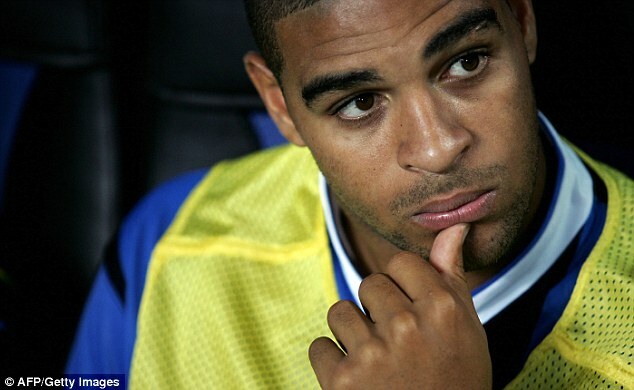 Speaking to Brazilian outlet R7, Adriano said: ‘Only I know how much I suffered. The death of my father left me with this huge void, I felt very lonely. After his death everything got worse, because I isolated myself. ‘I was alone in Italy, sad and depressed, and then I started drinking. I only felt happy when I was drinking, I’d do it every night. I drank everything I could get my hands on: wine, whiskey, vodka, beer. Lots of beer. 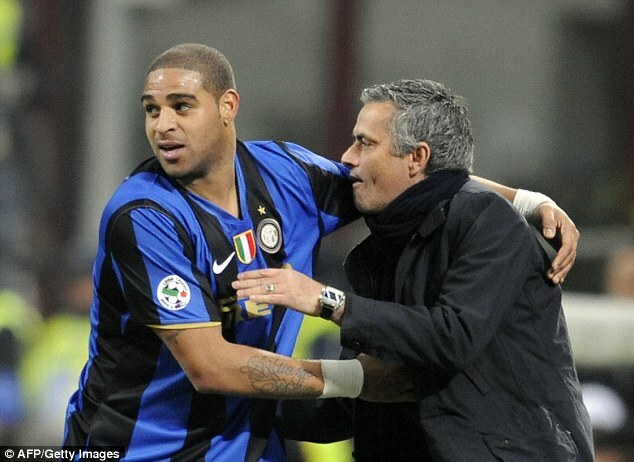 Adriano’s goalscoring record for Inter dramatically dipped during the 2006-07 campaign and he only played a bit-part role the following season as he battled with his demons. He was subsequently loaned out to Sao Paulo and spent the majority of his remaining playing days in his native country of Brazil. The 36-year-old admits that Inter tried their best to hide his issues but now blames the people he was associating with, and claims moving back to Brazil put him back on the right path – even if it cost him millions. ‘I didn’t know how to hide it, I arrived drunk in the morning for training sessions. I always showed up, even if I was completely drunk and the medical staff had to take me to sleep in the infirmary. ‘Inter told the press I just had muscular problems. ‘I later realised that the problem was the people around me, friends who did nothing but take me to parties with women and alcohol, without thinking about anything.